world and is now reshaping business landscape! Businesses are increasingly realizing that there are multiple disruptive forces at play, which are fundamentally reshaping their landscape, and no business is immune from these forces. New business models, exponential technologies, and evolving regulations – have all collectively led to disruption across value chains in diverse sectors and industries. The pace of disruption and change is so rapid, that nimble startups are scaling up to become unicorns in the blink of an eye! The cumulative impact of digital disruption is that we now live in a software-centric world, where every product is delivered as a service, and traditional businesses are productizing their best practices and converting them into software IP. Are you prepared to support your customers’ innovation? Thanks to breathtaking innovations in technology and business models, even established businesses are at risk of becoming irrelevant if they don’t keep up with changing times and evolve. To put it bluntly, for any business ‘digital transformation is not a choice, but an essential strategy to survive and avoid the risk of becoming extinct’. Just as there are diverse facets of disruption, there are different dimensions to digital transformation – thought process, culture, operations, organization, people, technology, business models, etc. As the pace of digital transformation accelerates, more and more businesses are transforming into digital enterprises and leveraging emerging technologies and business models to offer innovative digital products and services. Leading analysts and research organizations are forecasting that over the next decade, global economy and growth will be predominantly driven by digital technologies, products, and services. Businesses must adopt a two-pronged approach to drive growth and digital success: on one hand they must complement current products and services with digital enhancements, and on the other hand, they must leverage technology to productize their best practices into software IP and generate new revenue streams. For traditional non-technology businesses, creating digital products and services calls for a fundamental transformation into product-centric organizations, akin to a software company. Successful software companies have a continuous focus on aligning product features with customer needs and are known for their product-driven approach to business coupled with ability to innovate and evolve. Innovation like a software company calls for adopting organizational structures, processes, and culture of a software business and a conscious effort to embrace product-thinking at all levels. At coMakeIT, with our extensive experience in driving innovation and growth of software businesses, we are perfectly positioned to guide and execute product-centric digital transformation initiatives of enterprises. One of the important facets of transforming into a successful digital business is to place a premium on product management. Digital initiatives must be driven as product roadmaps and not as projects with defined scope. Once you start thinking and executing in terms of products, you will naturally start to value continuity and accumulated expertise as important elements of a product-centric organization that must be nurtured. Typical project managers value tactical success and depend on transient resources, whereas good product managers value cross-functional collaboration, business value delivered and customer experience. EU governments scrapped a plan to introduce a digital tax as some of its member states opposed it. The move is likely to be welcomed by digital giants such as Google and Facebook who would have fallen under the scope of the proposed 3 percent levy. Spotify filed a complaint against Apple with EU antitrust regulators, saying that the iPhone maker is abusing its dominant position and unfairly limits rivals to its own Apple Music streaming service. Amsterdam is the fourth best tech city in the world, according to a ranking by international real estate service provider Savills, which compared 30 large cities across the world on a wide range of over 100 parameters. The cities were scored in 6 categories – business environment, tech environment, city buzz and wellness, talent pool, real estate costs, and mobility. The Dutch capital is praised for its inhabitants’ high level of knowledge and proficiency in English. DeepMind, the Alphabet-owned AI company, will move to a new flagship London office in 2020. The company hopes that the new headquarters – which will feature a double helix staircase descending through a library, a roof garden, lecture theatre and lobby art work by creatives working with data and artificial intelligence – will be operational in the first half of next year. Last year, Google introduced a new app to help the visually impaired named Lookout, which uses AI to identify objects through a phone’s camera, and can also read text in signs and labels, scan barcodes, and identify currencies. This week, Google announced that the app is finally available to download – though only for Pixel devices in the US. FedEx plans to test a robot for handling home deliveries for shippers, partners, and restaurant chains such as Walmart, Pizza Hut, and others. Many businesses are experimenting with robots, drones, and self-driving cars to automate ‘last mile’ delivery and reduce high cost of manual deliveries. Apple is getting ready to launch a subscription-based streaming video service and compete head on with the likes of Amazon Prime, Hulu, Netflix and others. Analysts view this initiative as yet another effort by Apple to bulk up its services business, which is already topping a $40 billion annual revenue run rate. Aided by exponential growth in digital entertainment, the Indian media and entertainment sector is expected to cross $33.6 billion by 2021. A recent report by FICCI and Ernst & Young, projects the industry to clock a growth rate (CAGR) of 11.6% annually, with digital leading the pack..
Gartner estimates that global spending on robotic process automation (RPA) software will total $2.4 billion in 2022, up from $680 million in 2018. This increase in spending will be primarily driven by the necessity for organizations to rapidly digitize and automate their legacy processes and enable access to legacy applications through RPA. Gartner predicts that by the end of 2022, 85 percent of large and very large organizations will have deployed some form of RPA. International Data Corporation (IDC) Worldwide Semiannual Artificial Intelligence Systems Spending Guide projects global spending on AI to cross $35.8 billion in 2019 and more than double to $79.2 billion by 2022. IDC projects that the retail industry will be at the forefront with significant investments on solutions such as automated customer service agents, expert shopping advisors & product recommendations. According to Forrester, a weakening global economy will cause the global tech market’s growth to slow from 5% in 2018 to 3.8% by 2020. Forrester projects that the US will continue to be a leader with more than 2/5th of worldwide tech spending that is growing at 6.3%, which is nearly double the global growth rate. There is no universal panacea for legacy modernization, and different strategies are designed for different scenarios. You must choose the most optimal strategy that will enable you to derive the maximum business-value, while mitigating your risks. Metrics such as TCO, reduced time-to-market, increased frequency of releases, agility to innovate and make quick changes, and flexibility to extend across platforms will help significantly in evaluating the effectiveness of different modernization strategies. In a traditional sense doing agile is a set of activities, but being agile is a state of mind and refers to a broader set of organizational and technological capabilities of a business. 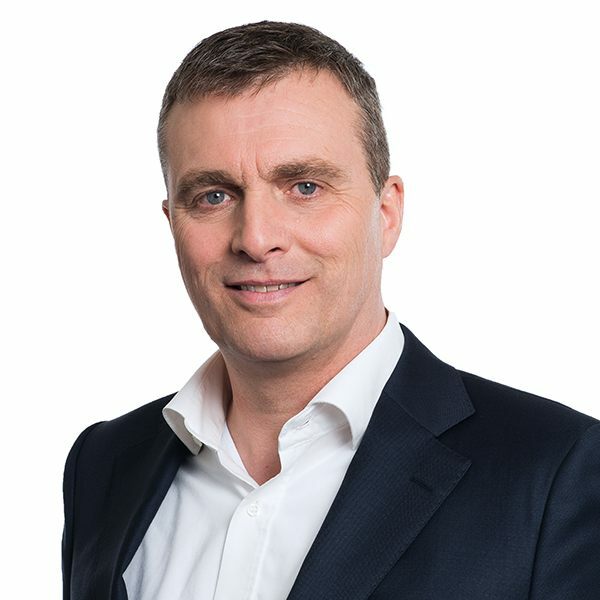 That is referred to as business agility, which demands a product-centric mindset, a collaborative approach and end-to-end transformation of all facets of a business. Your markets are global. Is your talent global? At the best of times, dealing with any kind of disruption is a challenge. But now we are grappling with not only disruption, but also the sheer pace at which it is happening. To effectively deal with these challenges and leverage the opportunities of a global market, businesses must embrace offshoring and tap into a diverse, global talent pool. Offshoring is a smart business strategy, not only to overcome skill shortages and scale up, but also to enhance your innovation capabilities. Digital experience design is how you create, manage, and deliver engaging customer experiences using digital technologies across multiple channels and devices. The demand is to deliver consistent customer experiences with responsive content across all channels including website, mobile, and hybrid applications. Digital experience must also address the needs of connected, smart devices and create highly impactful, engaging, personalized, and empathetic experiences for all potential users and their interactions. Sanoma Corporation, a Finland-based learning and media company, acquires Iddink, a leading educational platform and service provider for secondary education in the Netherlands. With the acquisition, Sanoma enters the integrated digital educational platform business for secondary and vocational education in the Netherlands, similar to its current offering in Poland. Schneider Electric and Planon announced that they will work together to bring a unique platform to market that will converge real-time building data and AI-driven analytics with intelligent business responses, creating day-to-day operational workflows for building operators, building occupiers, and their service providers. Keylane sells its subsidiary FlexiQ, a consultancy company focused on the pension and life sector. The company is transferred via a management buy-out to the current management. In other news, Topdanmark enters into a 5-year agreement with Keylane to support and further developm it’s new IT platform for life and pension based on an industry solution from Keylane. Chevin has been named ‘Best Fleet Management Technology Company’ in the CV Magazine 2018 Small Business Awards. Speaking on this occasion, David Gladding, Director of Sales and Marketing, Chevin, said, “We are extremely proud to not only been recognised for such an award but also to have been named as the overall winner of the Best Fleet Management Technology Provider.” In other news, FleetWave CORE, Chevin’s flagship product was recognized as highly commended in the innovation in SMR category at The British Fleet Awards. Two leading education technology organisations, the Universities Admissions Centre (UAC) and DeakinCo., are collaborating to develop a system for assessing and credentialling workplace skills for individuals and businesses. The credit and recognition-of-prior-learning system will leverage UAC’s world-leading application and assessment technology with DeakinCo.’s innovative micro-credentialling programs. 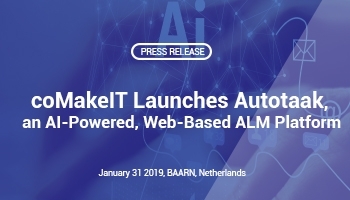 coMakeIT launches Autotaak: coMakeIT announced the launch of Autotaak, a new AI-powered, web-based integrated ALM platform. Autotaak enables end-to-end automation of application development to deployment pipeline. This AI-powered platform uses bots to automate all aspects of application lifecycle from product conceptualization, release & sprint planning, to development, integration, testing, and deployment. 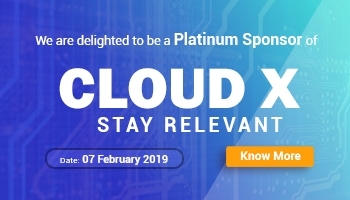 CloudX: coMakeIT was a platinum sponsor of CloudX event held in Utrecht, The Netherlands. The well-attended event hosted interesting presentations, discussions, and interactions on current topics such as trends & innovation, technology and finance. 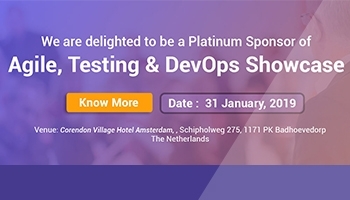 Agile, Testing & DevOps showcase: coMakeIT was also a platinum sponsor of the Agile, Testing & DevOps showcase event held in Amsterdam on the 31st of January. Steven ten Napel, coMakeIT’s CEO, delivered a keynote address on ‘True business agility is much more than process agility’. Thijs Peter, coMakeIT’s CTO made a presentation on how to ‘Break the technology silos and not just the organisation silos’. 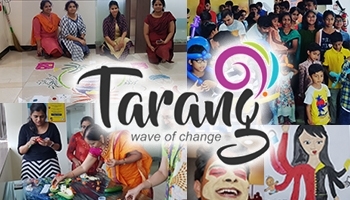 TaRanG: Tarang, our employee engagement and cultural initiative, hosted some fun activities on the occasion of Sankranthi (harvest festival of South India), organized a kids day and continued with our popular wall of art. International Women’s Day was also marked with a few creative activities.